Xiaomi at their Beijing event today announced the newest additions to their smartphone lineup – the Mi Note and Mi Note Pro (no to be confused with their popular Redmi Note). The two devices are their answer to the dominant Note line from Samsung and the larger iPhone 6 Plus. The Mi Note is a phablet with a 5.7 inch 1080p display. Inside, the device runs on a quad-core Snapdragon 801 processor along with 3GB of RAM. The systems draws power from a 3000mAh battery. On the back, the camera is a 13 megapixel Sony IMX214 sensor with 6-lens f 2.0 aperture, optical image stabilization (OIS) and has a two tone LED flash module made by Philips next to it. The front facing camera is a 4 megapixel unit with 2-micron pixels similar to HTC’s UltraPixel camera hence allowing for better low light shots. The device has a long SIM tray which supports LTE dual SIM. When it comes to design and build, the Mi Note has a steel chassis along with unique front and back glass panels. The front panel is 2.5D Gorilla Glass 3, meaning it is slightly tapered at the edges similar to the Galaxy Note 4. On the back though, we see a curved 3D glass panel – an industry first based on our knowledge – which curves up and hugs the steel frame of the device. Glass back panels have been seen many times before and their main drawback is that they are prone to cracking when dropped. A 3D panel may therefore be even more vulnerable but we have to see the durability of the 3D glass first before making a statement. Xiaomi has not left out the increasingly popular fast charging technology from its device and has even added HiFi (high fidelity) audio capabilities with an ESS decoder on board. The main draw of Xiaomi devices is their highly competitive pricing. The 16GB Mi Note will retail for 2299 yuan or $370 whilst the 64GB model will cost 2799 yuan or $450. While this isn’t the bottom of the plate pricing we have seen from Xiaomi in the past, it must be noted that the Mi Note is not an average device, rather a top of the tier offering. The Mi Note will be available in Singapore in the second quarter of 2015. 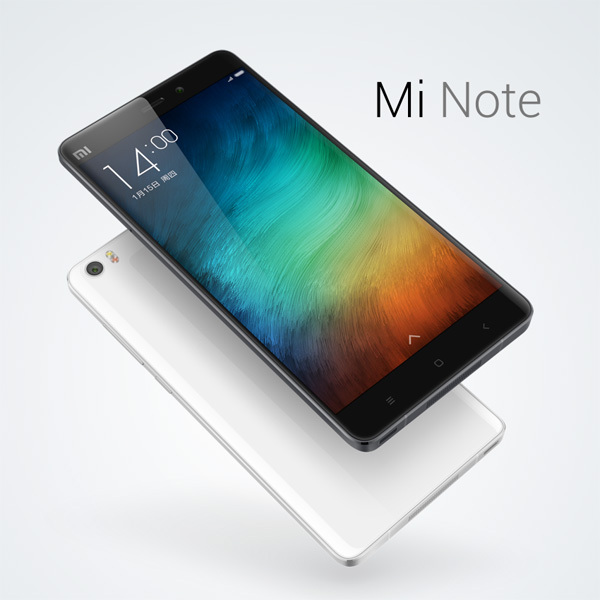 The Mi Note Pro is the super high end offering from Xiaomi. It carries over the stellar design and build of the Mi Note but beefs up the internals. The Pro will have the new octa-core Snapdragon 810 64-bit processor along with a whopping 4GB of RAM! A 2k display obviously makes its way onto the Pro along with LTE-Cat 9 support for the few people with really high speed LTE access at 450Mbps.